French Bulldogs TAFFY and HONEY STOLEN from Shelton, Staffordshire ST4 area, Central on 3rd August 2017. 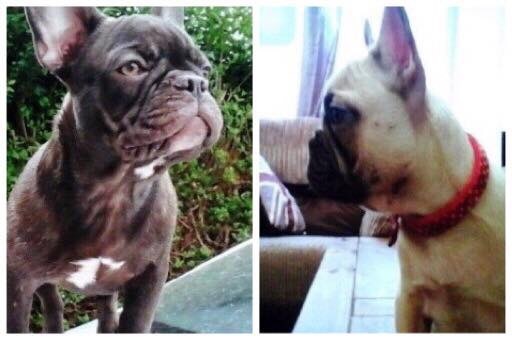 Staffordshire Police:- We are appealing for help in trying to locate two French Bulldogs that were stolen from a property in Shelton last night (3 August). The dogs are both female and are seven months old. Taffy is light brown/grey in colour and Honey is blonde. Sometime between 6pm and 8.30pm, an unknown offender entered the porch area of a property on Shelton New Road and stole the two dogs.